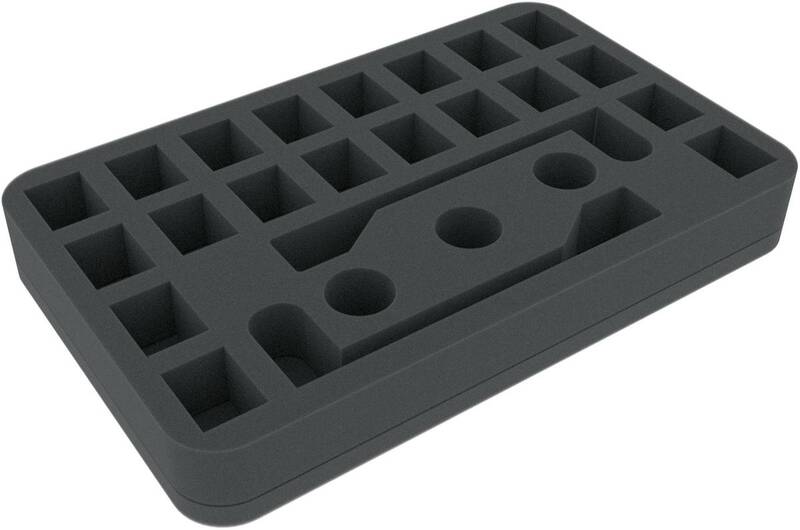 This foam tray has 25 compartments for the safe storage of two Subbuteo teams including keepers with handles, and three balls. 20 small, square compartments will hold the field players, two long compartments are custom cut for the goalies with handles. In addition, the tray features three round compartments for balls. The fine-pored foam provides ultimate protection against damages – broken noses and torn ligaments are all but excluded. 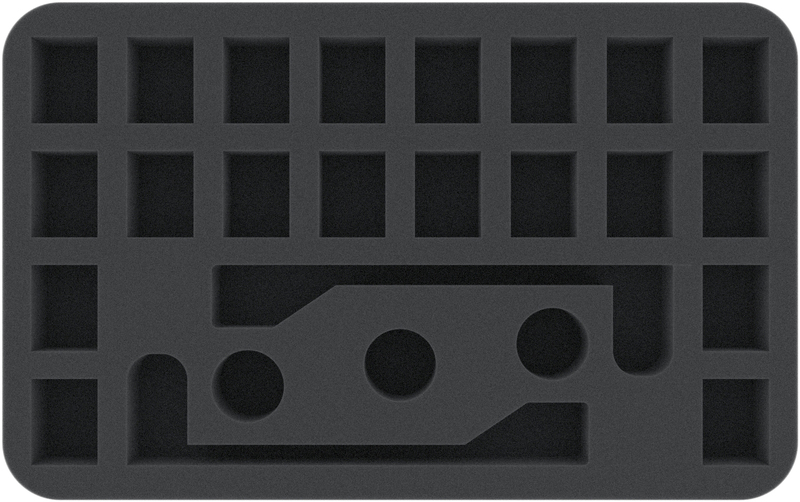 The tray has the following dimensions: 275 mm x 172 mm x 35 mm total height (25 mm usable height + 10 mm foam base).